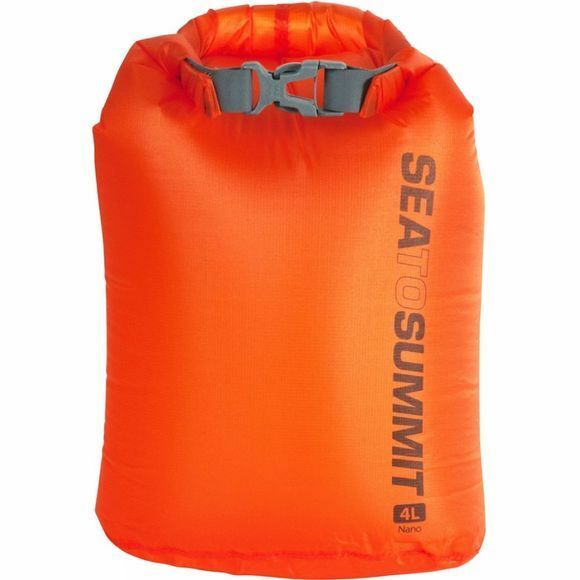 The Ultra-Sil Nano Dry Sack from Sea To Summit is ultra lightweight and ideal for storing essentials that you want to keep dry when enjoying the outdoors. It has a roll-top closure and an oval shape for easy packing. The siliconised finish on the fabric ensures friction-free stuffing and easy packing with other dry sacks.